Mole was happy with his life until one day, in the middle of spring cleaning, he emerges from his hole at Mole End and starts meandering the English countryside. Everything is new for the simple but stalwart mole. Never before had he seen a river, taken a boat ride, or encountered the woods. 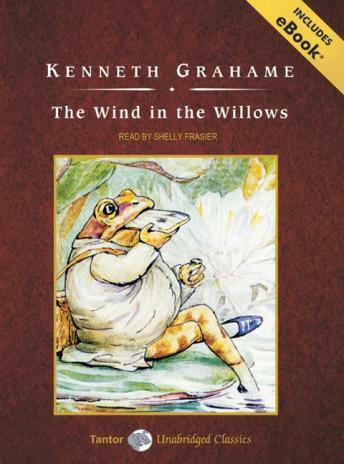 But this is nothing compared to what awaits him when he gets tangled up in the escapades of the indomitable Mr. Toad, the society-hating Badger of Wild Wood, and the easy-going Water Rat! Motorcars, gypsies, jailbreaks, and a weasel rebellion are all in store for these intrepid animals. Beyond mischievous life adventures, the story conveys the typical turn of twentieth-century life in Britain and the struggle between the noisy, common way of life and the genteel.